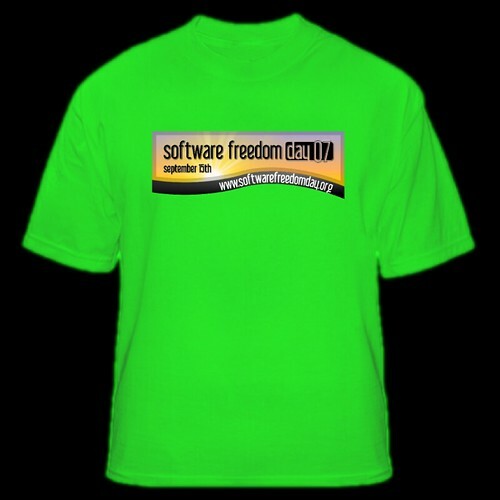 Software Freedom Day online shop is up! 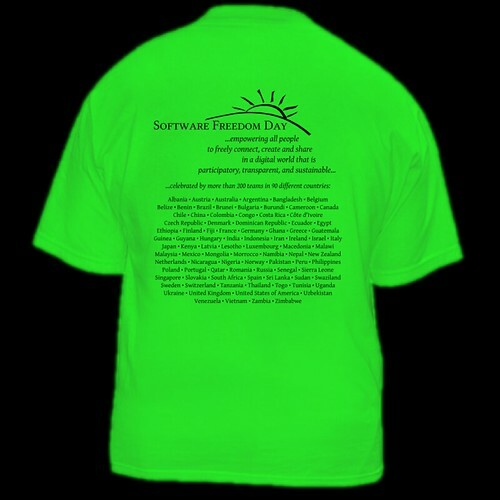 I’ve been working on putting up the online Software Freedom Day shop, which at this point includes tshirts for the event and CD packs of The Open CD. Teams running SFD events (that register prior to the 31st July) get a 50% discount so spread the word! We already have 125 teams registered from all around the world and it is only July! This year is looking to be huge! More information soon to come Comments on the shirt design are welcome. This entry was posted in FOSS, SFD. Bookmark the permalink. 3 Responses to Software Freedom Day online shop is up! The whole SFD stuff is great, but those shirts just scream “Free Software Users have no taste”. The green color is really terrible. The green colour will scare small children. Or possibly they’ll think you’re Shrek.